The Science Center, Vernal Pool and streams. Visuals, clipboards, white paper, pencils, erasers, 12"x18" #80 paper, tempera paint, brushes, water cups, smocks. Bus drop off at Science Center at 10:00 am. Restrooms for 10 minutes. Walk to Vernal Pool and streams on the way which will be 2 hours. Return to Science Center for lunch at 12:30-1:00 pm. Observe amphibians in buckets and add more details to sketches until 1:30. Restroom for 10 minutes. Board the bus at 1:45 pm. The pre- forest activity will include a brief biography of Albrecht Durer and images of his art. When dropped off at the Science Center, we will be met by a Black Rock employee who will guide us through the forest to the Vernal Pool. Students will be shown where amphibians can be found and how to respect their natural environment. We will demonstrate how students can carefully look for amphibians. When they are found we can call them over to observe their size, color, shape and texture. Each student will have their clipboard in hand. I will demonstrate one sketch of the amphibian and leaves or wood around it. 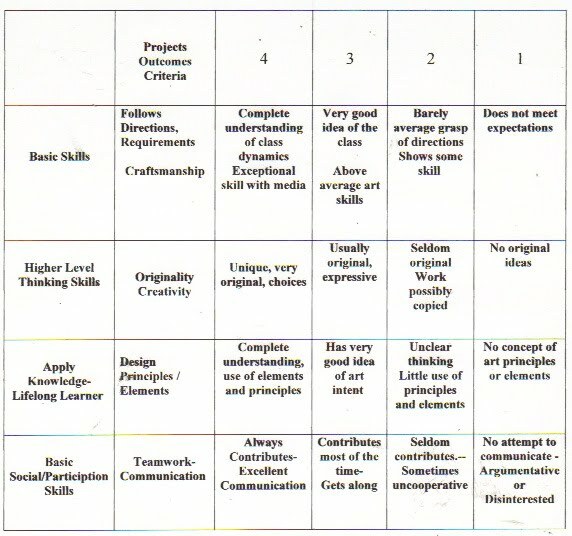 The students will work on 1 or 2 sketches there. They will also collect 3 different kinds of leaves that were found on the ground in that area. I will have a large plastic bag to collect the leaves. We will bring these back to the classroom to complete their final sketch. After lunch at the Science Center, amphibians will collected in buckets for the students to observe closely. They can continue to sketch for 30 minutes. I will collect all sketches before boarding the bus back to school. I will demonstrate two different ways for students to begin the final sketch. The first demonstration will be how to draw a salamander or newt with leaves over or under it. The second sketch will be of a frog in the forest. 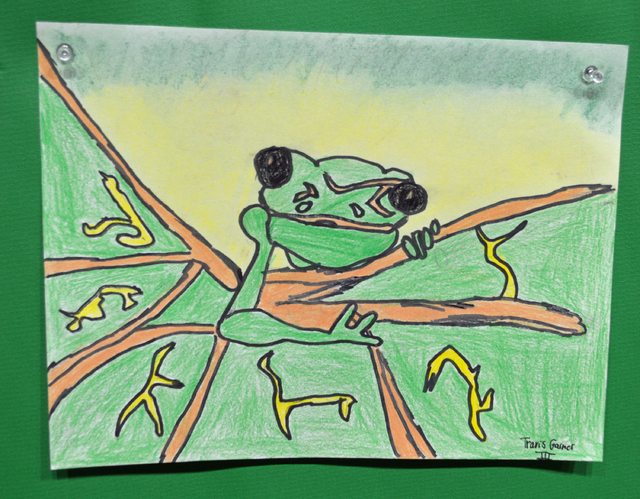 I have frog and salamander tracers for students that feel more comfortable tracing. Our bag of leaves will available for students to incorporate in into their drawings. The drawing will show overlapping to create a sense of space. A variety of lines will be used to show texture. Images will also be printed to assist students. 3-LS4-2 Use evidence to construct an explanation for how the variations in characteristics among individual species may provide advantages in surviving, finding mates, and reproducing. 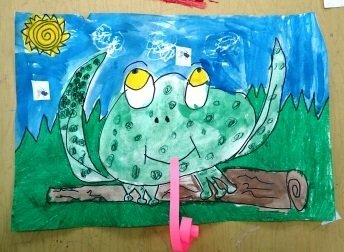 Third grade students are learning about frogs and their habitat in the science curriculum. This lesson will be an extension of that unit. Students will recall what they have learned about frogs and where they live. 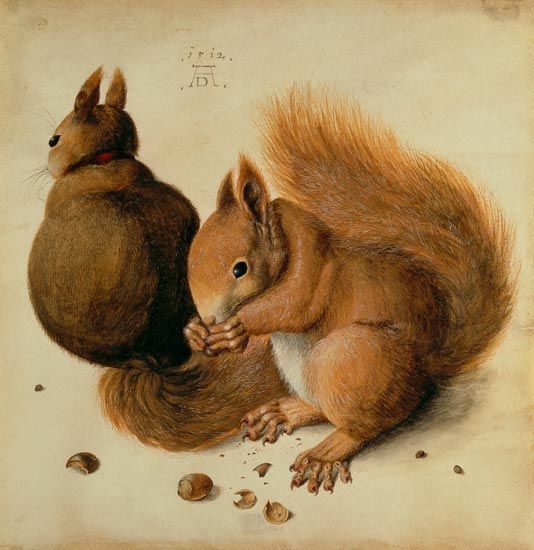 I will introduce the artist Albrecht Durer who was a German artist that was interested in the environment. He did many drawing of local plants and animals. 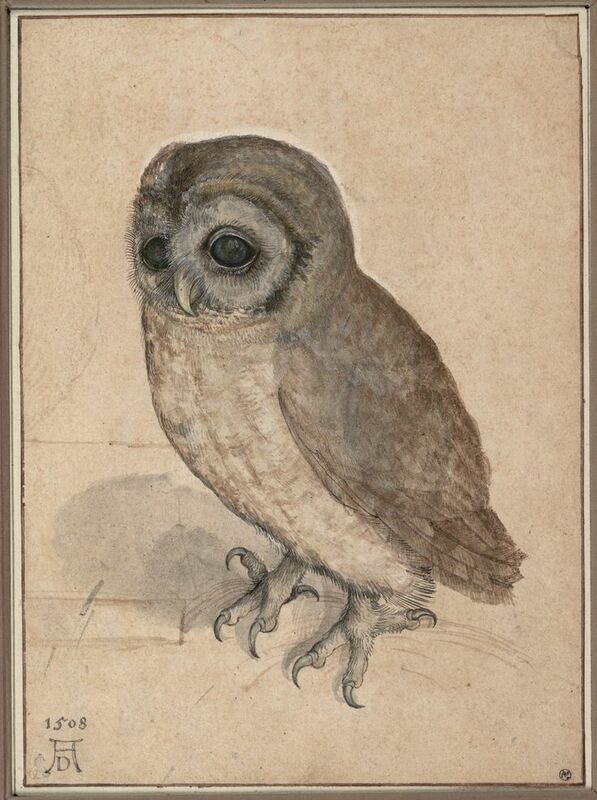 Artists created these drawings of the natural habitat before cameras were invented. Artists drawing were compiled into scientific books for publication. Like Durer, we will go to Black Rock Forest to see where we can find amphibians such as frogs, newts and salamanders. From our finding we will create a drawing of an amphibian in its environment. Our focus in our drawing will be overlapping and texture. The students will learn where amphibians can be found at Black Rock. They will draw several sketches of frogs, newts, salamanders and leaves. 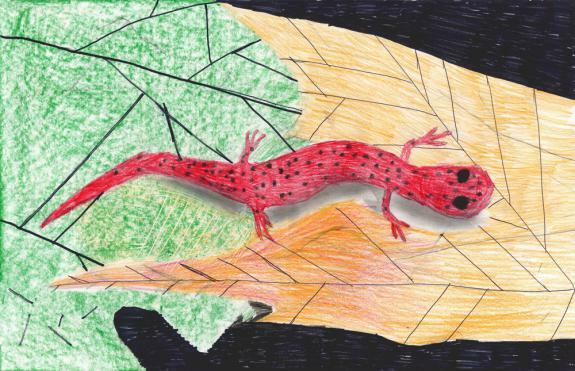 The students will create a final sketch on 12"x18" paper of an amphibian in its habitat. The students will create a sense of space by overlapping shapes. The students will use a variety of lines to show texture. The students will use tempera paint to complete their artwork. In addition to the artwork by Albrecht Durer that will be shown to the students prior to the trip, I will show them the Black Rock Forest website. 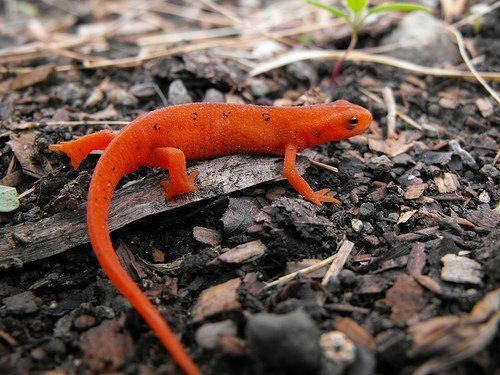 The site lists the amphibians that can be found there and it also has an audio to hear the sound that amphibian makes. This way the students will have an idea what they will be searching for. Check with school nurse for a list of students with allergies and other medical concerns. Show students how to dress appropriately for the weather and also to prevent against tick bites. Students will be told the importance of respecting the forest and the habitat within it. I will demonstrate how to look for amphibians and how to carefully lower leaves and pieces of bark, wood and rocks. Each student will be assigned a buddy that they will be responsible for during our trip. When registering for this trip I will make sure there is a guide to accompany us at Black Rock. I will also if some frogs, toads, salamanders and newts can be caught ahead of time for the students to observe during our lunch break.